It seems like every summer the weather just gets hotter. As parents, it’s crucial that we pay attention to the temperature every day, more so when it’s summer. If, as an adult, you’re finding the heat unbearable, then imagine how your child must be feeling. Short on Time? Click Here for Our Top Pick! Most of the time, our children spend the majority of their time, especially when we're out and about, in their buggies or strollers, but these are renowned for getting extremely hot on sunny days. To stop this issue becoming a problem, here are three of the best stroller fans, enabling your child to stay cool and refreshed. 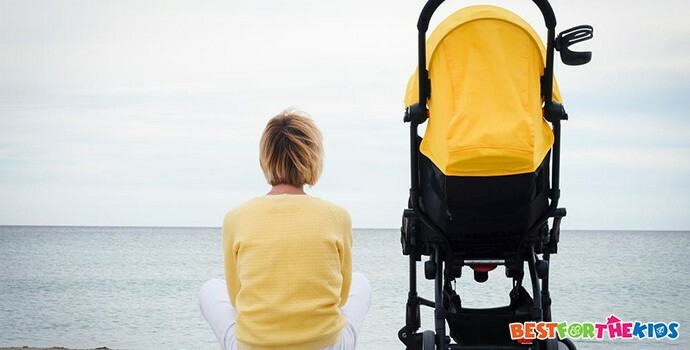 To help you to protect your child’s well-being and health, here are three of the best and most popular stroller fans on today’s market. To start off my list, I’ve chosen a fan that was originally intended for use as a desk fan, but has recently rebranded itself as an ideal fan to keep your baby cool while in their stroller. With this fan, your baby will be able to enjoy refreshing wind speeds of up to 75 feet a second with a battery life of six hours. 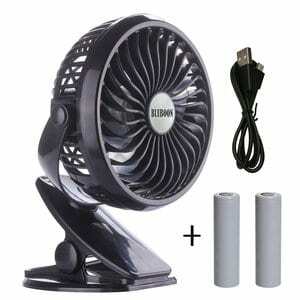 This high-speed fan is fast to charge thanks to its quick charge USB port and cable, and the fan can be positioned any way you need it with its 360° rotation. This fan is lightweight and can be clipped onto any part of your stroller, enabling you to set it up where you need it most. What's Great About It: Thanks to this fan’s special streamlined design, it prides itself on being extremely low-noise, ensuring that it won’t cause irritation or wake your baby up while they’re asleep. This USB-powered stroller fan boasts an incredible 4 to 6 hours of battery life, ensuring you have enough charge for your baby to stay cool throughout the day. 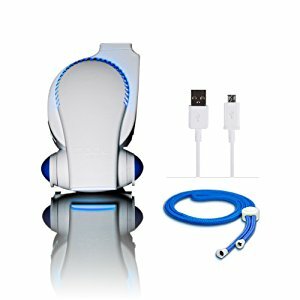 The device can be easily charged using a simple USB cable, allowing you to quickly charge it through the mains, a solar panel, your laptop or a battery pack. Integrated into the fan, you and your baby will be able to enjoy an automatic swivel setting, or you can simply set it in a fixed position you like. This awesome little clip-on fan is the perfect size, being compact enough to keep anywhere while large enough to produce a sufficient amount of wind. What's Great About It: In addition to being available in three vibrant and attractive colors, this fan prides itself on being a low-power, high-performance fan that’s both durable and lightweight, giving you everything you could need from a stroller fan. This market-leading clip-on stroller fan prides itself on being one of the best. Within this fan, you’ll be able to enjoy the benefits of vibrant LED lights, a renovated design, and a rechargeable battery, ensuring this is the best Cool on the Go Clip-on fan to date. With hands-free operation, a high-performance setting and the ability to run off USB or AA batteries, you can be sure that you have all the power you need when you need it the most. What's Great About It: As one of the leading brands, there are multiple colors, designs, styles and flexibility settings to choose from, ensuring you can choose the stroller fan that is perfect for your baby and their requirements. Choosing the right stroller fan for you is such an important decision. If you opt for a cheaper fan, such as a supermarket fan, you’ll instantly find you’re continuously dealing with problems like dead batteries or a device that will easily fall apart. Here are some things to look out for to ensure you’re buying the perfect one for your baby. The first thing you’ll need to look for is the battery life of your chosen device. With cheaper fans, you can expect a maximum battery life of around 2 hours. This will be even less if you have the fan on full-speed. As you can see from my devices above, you can enjoy a battery life of around 4 to 6 hours, much better for when you’re out about, and you don’t want to worry about your battery dying midway through your day out. Related: What are the Best Travel System Strollers? Once you have clipped your fan onto your stroller, you’ll want to ensure that you can adjust the position of the fan, so it will actually cool your baby. For this, you’ll want a swivel base on the fan that can be positioned in any direction that you require. Some fans will also come with an auto-swivel setting which means that your child’s entire body can be refreshed at the same time. When it comes to a stroller fan, you’ll want a device that can charge quickly and efficiently so that it’s always ready for use whenever you need it. The best way to do this is by using a USB cable, as it provides fast charging capabilities. When it comes to child-friendly products, you’ll want a stroller fan that looks the part and matches your baby’s personality. Fortunately, many of the brands, especially the ones on my list above, come in a variety of different styles, designs, and colors, enabling you to pick the one that best suits you. Stroller fans are such an essential and helpful accessory when it comes to keeping your baby happy while they’re out and about in their stroller. Take your time when picking the right one for you, and always spend a little more on quality. 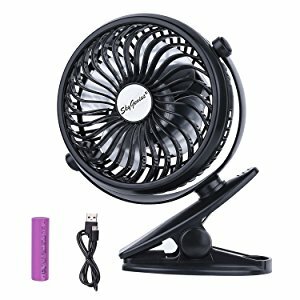 It’s better to buy a $20 fan that will last the test of time rather than 3 or 4 fans at $10 that will continue to break. Sandra is the head of content for BestForTheKids. When she's not busy crafting posts & researching about compelling content ideas, she can be spotted playing outdoors with her two adorable children. BestForTheKids.com is a participant in the Amazon Services LLC Associates Program, an affiliate advertising program designed to provide a means for sites to earn advertising fees by advertising and linking to Amazon.com; Amazon and the Amazon logo are trademarks of Amazon.com, Inc. or its affiliates. All information found on BestForTheKids.com is intended for informational and educational purposes only. The information provided on this website is not intended to be a replacement or substitute for professional medical advice.